Many thanks to all of you for your kind words and prayers last week when I was so ill. So cute! Glad you are feeling better. Take it one day at a time. Thanks Nancy. Hope you are well. 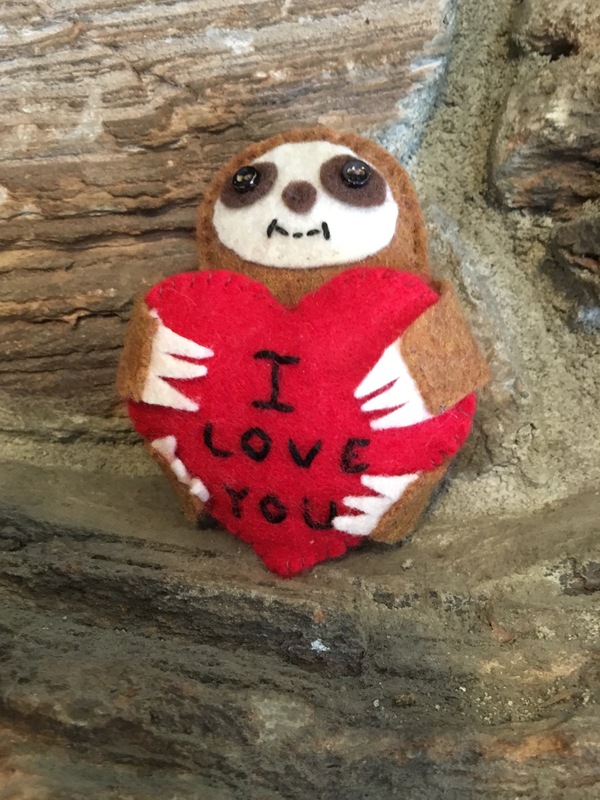 Glad you like the sloths. I put them on Facebook, but don’t know what else to do. Do you use Instagram? Is it difficult to learn? Maybe I should start an account and post my sloths? What do you think? Hello dear Linda. Hugs to you too. Henry sees his oncologist today and we’re hoping for the best. Thanks Pam! I love hearing that. Hope you are well in the new year.